Now with Bibles they can read, people in Burkina Faso are coming to Jesus! 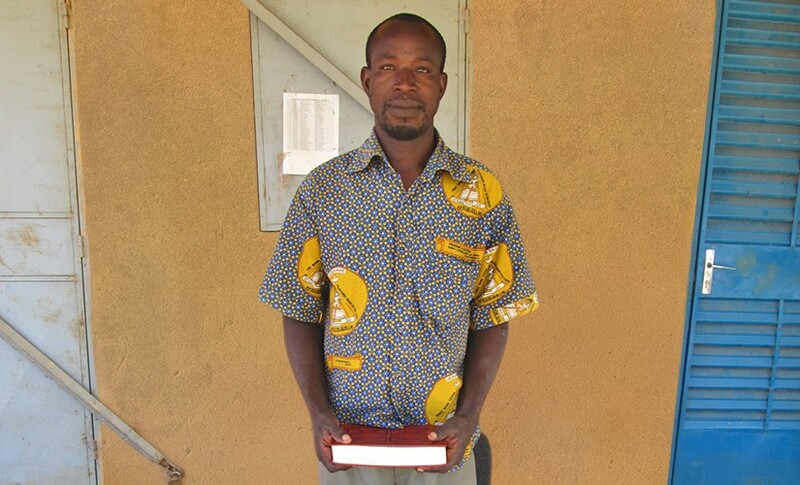 Having Scripture in his heart language has helped Bangou live his life for Christ. “Now I look to God through prayer and his Word to know his will in the decisions I have to make,” says Bangou. Reverend Yankine Dramane reiterates why Bible translation is so important. “When the Bible arrives in the heart language of the people, they come to Jesus and live their lives by the gospel,” he says. Support from American Bible Society’s financial partners has helped us place Bibles in the hands and hearts of more than 36,000 people in Burkina Faso. And for many like Bangou, it’s their first Bible! We are grateful for continued support to reach even more people like Bangou with the Good News … so they may know Jesus Christ. People in one of the world’s poorest countries are reached with Scripture.